Whether a whisky aficionado or at the beginning of your whisky affair, you’ll no doubt find something to ignite your passion at The Whisky Extravaganza. Join fellow enthusiasts in an exploration of a wide range of the most prestigious single malt, premium Scotch and other unique whiskies from around the world. 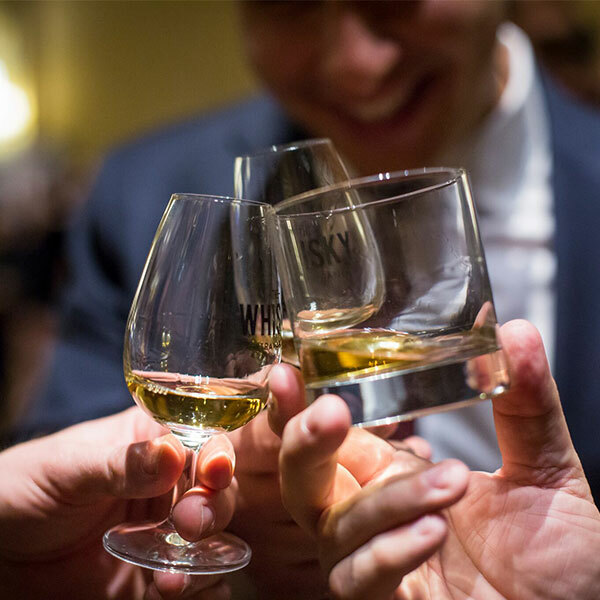 Receive a special souvenir tasting glass to properly nose and sample from a selection of premium whiskies while indulging in delicious culinary pairings. Expand your whisky knowledge through our Masterclass series. Curated by industry experts from well-established distilleries, our Masterclasses will take a deep dive into whisky distilling, flavor profiles, history, tradition and various brand portfolios in a fun and intimate setting.